The Alt Right troll is $4 million in debt and mulling a move to Australia. After it was reported that Milo Yiannopolous is millions of dollars in debt, he Facebook page to declare it victory. Why? Because according to the Alt Right troll, you have to be incredibly successful "to owe that kind of money". "For those wondering, it’s true. I am pretty broke, relatively speaking," he wrote. 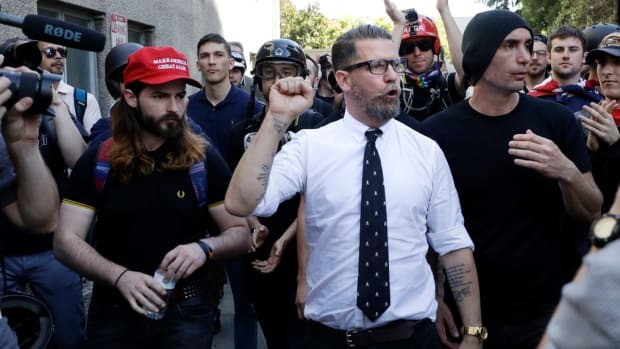 "Two years of being no-platformed, banned, blacklisted and censored because I’m the most effective, talented cultural warrior of my generation has taken its toll. But you know what? It was worth it. I was instrumental in getting Trump elected and I wrote a New York Times bestselling book." 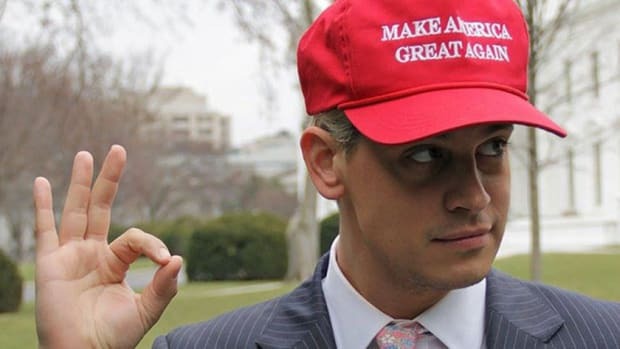 Yiannopolous has been so successful in fact, that he has apparently been mulling fleeing to Australia, because "the political environment in the US is insane". 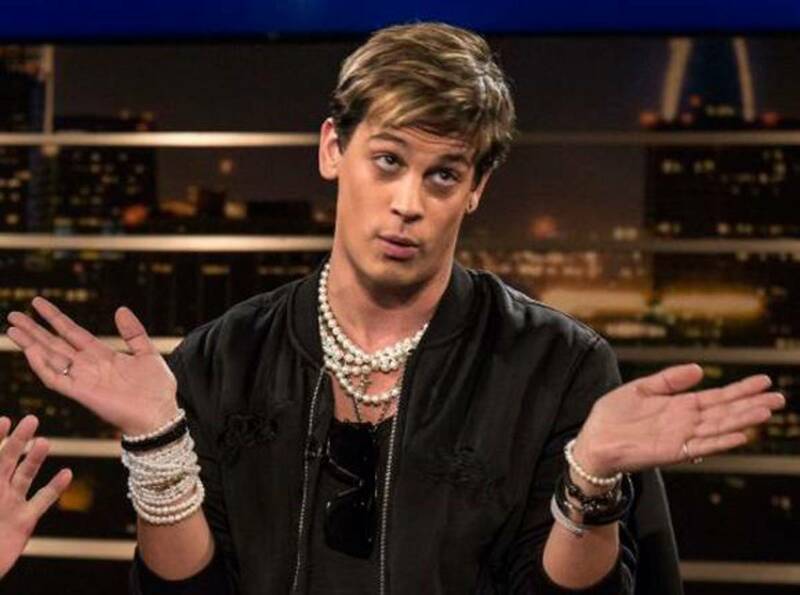 At one point, as he attempts to negotiate the transfer of more funds from the Spillers, Yiannopoulos remarks in a message that “I am less financially secure, more panicked and stressed, and more miserable than when we started”, and then says he returned his wedding ring to Cartier to wipe out the debt he had with them. In his post on Facebook, Yiannopolous declared he was actually $4 million in debt. 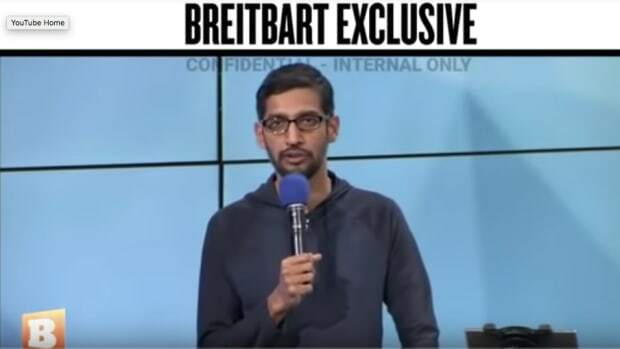 He also called AE Media "a criminal outfit" that had "doxed my family, including children, this week, then hacked my website, refused to give punters refunds and leaked private emails has burned $500k of their dad’s money and have nothing but a pending class-action lawsuit to show for it." Yiannopolous had not provided any evidence of this so far. 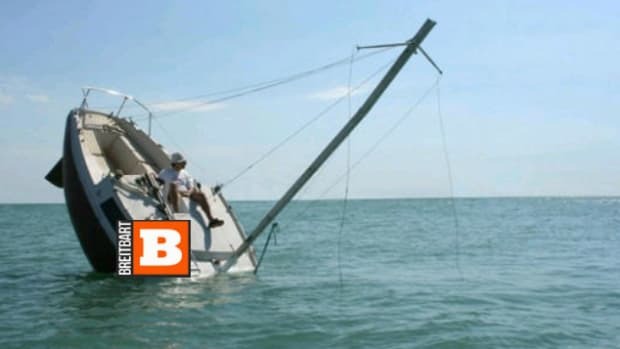 It is difficult to find much sympathy for the former Breitbart journalist given his repellant behavior over the years. From virulently misogynistic, racist attacks on black actress Leslie Jones (whom he described as “barely literate” and “a man”) to working directly with Neo Nazis for Breitbart, Yiannopolous built his reputation by appealing to the worst elements of society. He is unable to comprehend why his fans have not rallied to his defense, and appears to spend much of his time unsuccessfully hawking idiotic T-shirts on Facebook to those who still find him entertaining. "To my Leftist critics," he wrote on his Facebook page. "Does my checking account balance alter the fact that you support the murder of innocent unborn babies, persecute and ridicule decent Americans for their beliefs, steal elections, take money from the wealthy to poison and indoctrinate children and are now trying to dissolve the very concept of the nation state?" "Bank balances come and go," he went on. 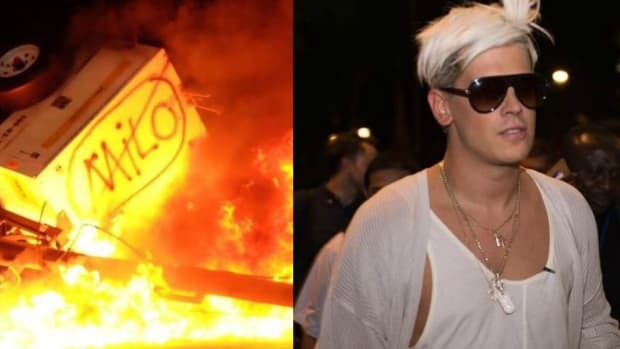 "But Milo will be funny, famous and fabulous and right about everything until the day he dies. I am a free speech icon. You can never defeat me. You will never shut me up. Here’s to 2019. With love from a bruised, broke—but unbeaten—hoe." 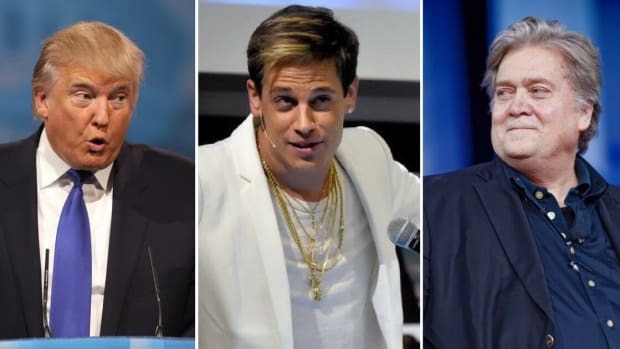 It would be easy (and gratifying) to kick Yiannopolous while he is down, but really there isn&apos;t much need, because there&apos;s not much left of him to kick.